Ok, I thought this movie was pretty cool when I saw it as a kid. 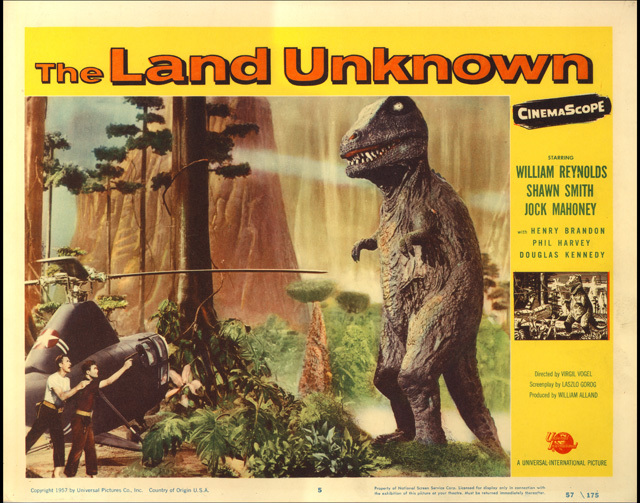 It was on a double bill with This Island Earth, which would’ve been a re-release in 1964. It has horrible acting and a T-Rex that is a guy in a suit, plus a crazy caveman. They built a full size jungle set with painted backdrop, which is pretty cool, and they built a miniature jungle set for the T-Rex (and a miniature helicopter). It’s a 1957 Universal film, so it has all the stylistic flourishes that the other films of that period have: good production values, good music, earnest effects work. And ponder ye the title: The Land Unknown. 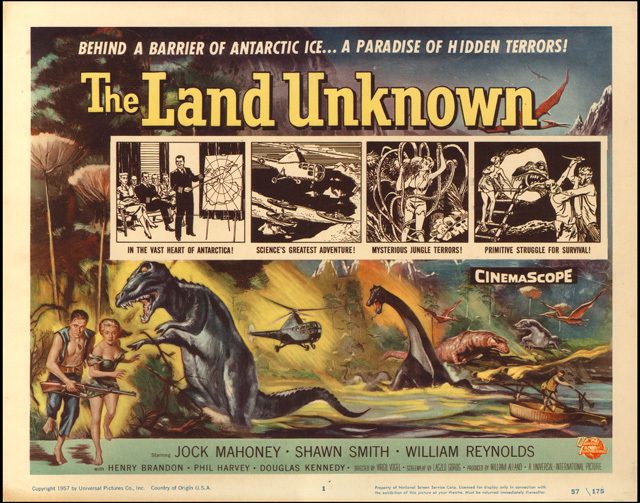 Why not just: … The Unknown Land?